2016 was a record-breaking year for the machine vision industry, especially on the Chinese market. Thanks to the promotion of Industry 4.0 and the strategy of Made in China 2025, machine vision is becoming the greatest beneficiary of the transformation and upgrading of manufacturing in China. In addition to applications in manufacturing, machine vision also plays an important role in new fields such as 3D vision, intelligent transportation, self-driving technology, virtual reality, embedded vision, etc. These areas are expected to be the high potential markets in future. Active markets usually lead to mergers and acquisitions. The two big cases in 2016 were Flir’s acquisition of Point Grey and Dalsa’s takeover of e2v. And they will all be present at the forthcoming Vision China (Shanghai) to demonstrate the latest products and solutions. 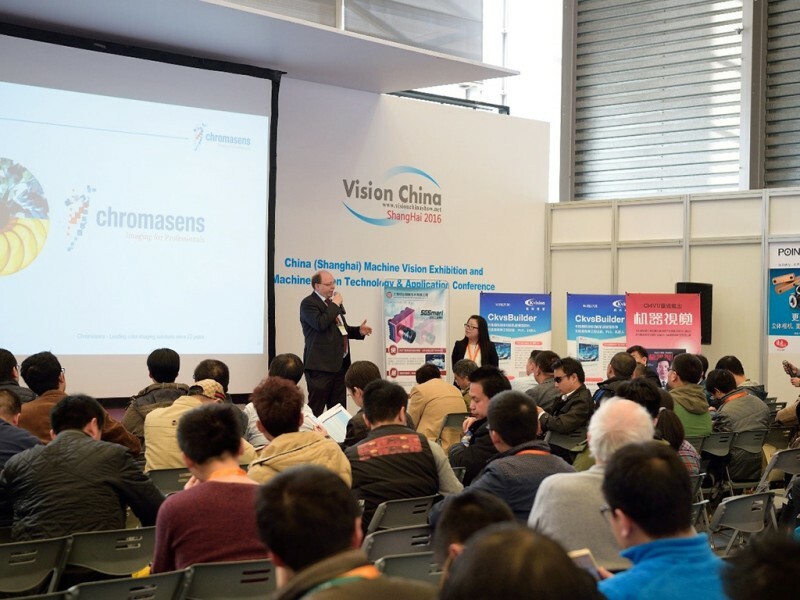 Organized by the China Society of Image and Graphics (CSIG) and Messe München, Vision China (Shanghai) will take place at Shanghai New International Expo Center (SNIEC) from March 14 to 16, 2017 in parallel with LASER World of PHOTONICS CHINA. As the leading machine vision show in China, Vision China (Shanghai) showcases the industry’s core components and parts, and attracts experts, researchers and technicians from all kinds of application industries. Vision China will continue its successful development with more exhibition space and a higher number of exhibitors. Over 172 companies are expected to attend this year and will occupy an exhibition area of 10,000 square meters. Key players such as Allied Vision, Basler Asia, Baumer, Delta, Flir, Keyence, Sony China and ON Semiconductor will take part in the event. About 50,000 academic and industrial users, professionals and experts are once again expected to attend LASER World of PHOTONICS CHINA and Vision China (Shanghai).